Our product range includes a wide range of top skirt bottom flat jumbo bag, pp fibc bag with full belt in the bottom and fill spout, 1.0 ton fibc jumbo bulk bag for industrial products, 1 ton super sack bags for storage chemical powder, fibc circular bag with top filling spout and fibc bag for packing bitumen. Our Manufactured FIBC are as per the international standards, we offer high quality fabric for bulk bags, PP bulk bags, FIBC Jumbo Bag and FIBC bulk bags that is known for its durability and capability to withstand heavy weights. 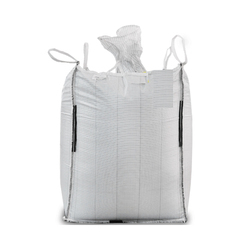 Our range of PP bulk bags, and FIBC Jumbo Bag and FIBC bulk bags is highly admired by our clients due to its high tensile strength, low elongation, weather resistance and better durability. We strictly test our range of fabric at various stages of production to ensure its compliance with set industrial benchmarks. Highly cost effective, these are available in range of 500 kg, 1000 kg, and 2000 kg And specifications to meet the diverse needs of the clients. Further, we can also provide our range in exact finish and specifications as required by the clients. Which are highly useful to customer to transport there goods in small or in bulk quantity as per their needs. We focus on customer satisfaction so our voluble customer can avail those bags in reliable price than market with standard service. For packing cement, sand, mine, ore, fertilizer, chemical, grain, sugar & salt, agriculture, construction material, powder, and so on. We are the leading manufacturer and exporter of an extensive range of FIBC / Big Bags / Jumbo Bags that are available in various sizes and are offered to various industries such as dyes-intermediates, pharmaceuticals, rubber, sugar etc. 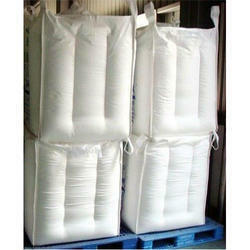 These FIBC / Big Bags / Jumbo Bags are widely appreciated due to attractive specifications. We are renowned nationally & internationally for manufacturing and supplying excellent quality FIBC Bags. 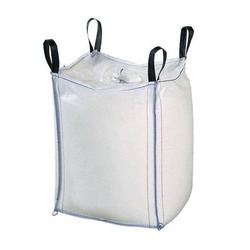 A flexible intermediate bulk container (FIBC), bulk bag, big bag or super sack, is an industrial container made of flexible fabric that is designed for storing and transporting dry, flow able products, such as sand, fertilizer, and granules of plastic. We are the leading manufacturer and exporter of an extensive range of FIBC / Big Bags / Jumbo Bags that are available in various sizes and are offered to various industries such as chemicals, dyes-intermediates, pharmaceuticals, minerals, rubber, sugar etc. 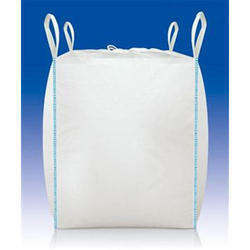 These FIBC / Big Bags / Jumbo Bags are widely appreciated due to attractive specifications. We are renowned nationally internationally for manufacturing and supplying excellent quality FIBC / Big Bags / Jumbo Bags. Our Manufactured FIBC are as per the international standards, we offer high quality fabric for bulk bags, PP woven bags, PP bulk bags, FIBC Jumbo Bag and FIBC bulk bags that is known for its durability and capability to withstand heavy weights. 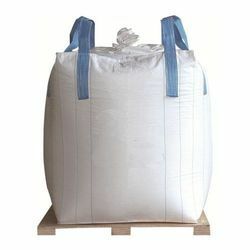 Our range of PP woven bags, PP bulk bags, FIBC Jumbo Bag and FIBC bulk bags is highly admired by our clients due to its high tensile strength, low elongation, weather resistance and better durability..These bags are ideal for storing and such as fertilizers, chemical minerals, cement, sand gravels, salts, food grains, sugar and many transporting materials others. We strictly test our range of fabric at various stages of production to ensure its compliance with set industrial benchmarks. Highly cost effective, these are available in various sizes and specifications to meet the diverse needs of the clients. Further, we can also provide our range in exact finish and specifications as required by the clients. Packaging Details: As per customer requirement in bale . We are the leading manufacturer and exporter of an extensive range of FIBC / Big Bags / Jumbo Bags that are available in various sizes and are offered to various industries such as dyes-intermediates, pharmaceuticals, rubber, sugar etc. 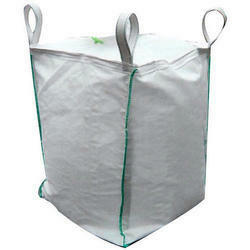 These FIBC / Big Bags / Jumbo Bags are widely appreciated due to attractive specifications. 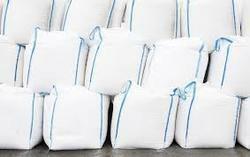 We are renowned nationally & internationally for manufacturing and supplying excellent quality FIBC / Big Bags / Jumbo Bags. Our Manufactured FIBC are as per the international standards, we offer high quality fabric for bulk bags, PP woven bags, PP bulk bags, FIBC Jumbo Bag and FIBC bulk bags that is known for its durability and capability to withstand heavy weights. Our range of PP woven bags, PP bulk bags, and FIBC Jumbo Bag and FIBC bulk bags is highly admired by our clients due to its high tensile strength, low elongation, weather resistance and better durability. These bags are ideal for storing and such as fertilizers, cement, sand, salts, food grains, sugar and many transporting materials others. We strictly test our range of fabric at various stages of production to ensure its compliance with set industrial benchmarks. Highly cost effective, these are available in range of 500 kg, 1000 kg, and 2000 kg And specifications to meet the diverse needs of the clients. Further, we can also provide our range in exact finish and specifications as required by the clients. Which are highly useful to customer to transport there goods in small or in bulk quantity as per their needs. We focus on customer satisfaction so our voluble customer can avail those bags in reliable price than market with standard service. 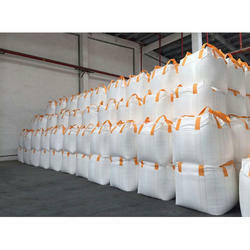 A flexible intermediate bulk container (FIBC), bulk bag, big bag or super sack, is an industrial container made of flexible fabric that is designed for storing and transporting dry, flowable products, such as sand, fertilizer, and granules of plastic. FIBC’s (Flexible Intermediate Bulk Containers) are a flexible and very strong means of packaging made especially for the use of storage and transportation of many various types of bulk products. There are many different examples of such products which vary depending on the industry they are needed in. A traditional FIBC has four Lay flat loops and is the most common. 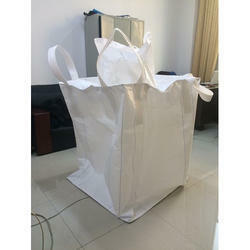 The design of this type of bag has been utilized in every different industry possible all over the world. A four loop FIBC has different characteristics to that of a single and two loop FIBC. The four loops are fixed to the body of the fabric by two types of sewing, over-lock and chain stitching. This ensures that the side panels and loops remain intact when being filled or lifted. We also produce a wide range of bags Cross Corner Loops. These loops span across the corner of the FIBC which gives many advantages over a more traditional FIBC with Lay flat loops. These loops are attached and fixed to the body of the fabric with a lock stitch securing the webbing to the FIBC. At Flexi global we can produce a variety of simple or bespoke FIBC’s. There are many different options to choose from when designing a FIBC for a particular product or industry. We offer a wide range of FIBC bags that are fabricated with high grade raw material. 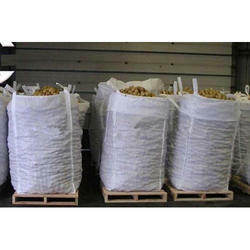 These FIBC bags (Flexible Intermediate Bulk Container) are big bags that are used for packing materials in bulk. 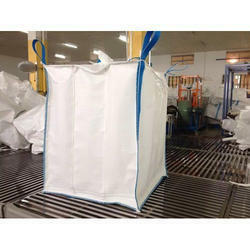 These bags are easy to handle and are more hygienic, so they are a leading choice for food, chemical and similar processes. 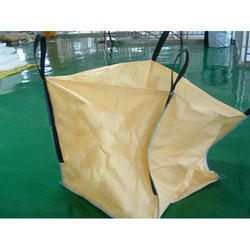 These bags lower operations costs and also suitable for road, railway or container shipments. Further, they are best known for their salient features that include tear resistance, optimum quality, recyclable, user friendly, etc. We offer our range of bags to our clients at industry leading price within the time mentioned. Moreover, our range offers numerous advantages. We offer a wide range of FIBC bags that are fabricated with high grade raw material. 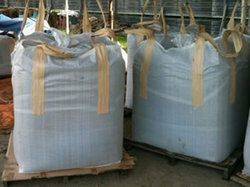 These FIBC bags (Flexible Intermediate Bulk Container) are big bags that are used for packing materials in bulk. These bags are easy to handle and are more hygienic, so they are a leading choice for food and similar processes. 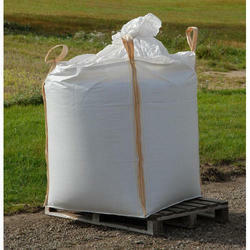 These bags lower operations costs and also suitable for road, railway or container shipments. Further, they are best known for their salient features that include tear resistance, optimum quality, recyclable, user friendly, etc. We offer our range of bags to our clients at industry leading price within the time mentioned. Moreover, our range offers numerous advantages. 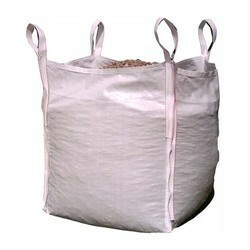 Jumbo bags are widely used to store heavy materials. The fabric is used in such a way that it has a single layer inside with an extra lose or laminated layer. 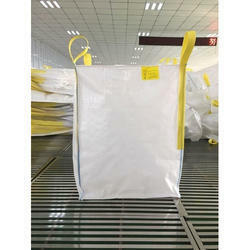 PE liner and barrier liner used with the bag is the main feature of such big bags. It is designed scientifically in a way that it helps in storing extremely high weight materials. These jumbo bags are also available as per the coated and uncoated variety. 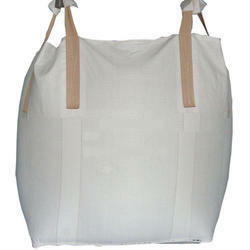 There is a thickness of woven polypropylene that increases the weight holding capacity of the bag. We are expert in making customized bags as per the needs and requirements of the client. We are specialized in making jumbo bags appear decent yet powerfully built by adding corona treatment or manual printing. Lamination can also be done as per specification. 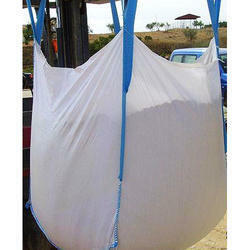 As a world class jumbo bags provider, we have got recognition across the globe for providing the best quality big bags. 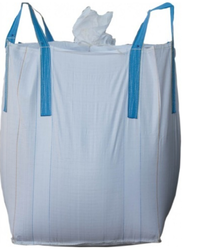 Specially designed Jumbo bags can be used for packing of food grains, building materials, fertilizers etc. There is a special use of denier in which thickness is ranged by woven polypropylene threads. Our range of regular big bags is available in different varieties, shapes and appearance as per the requirement of client. Packaging Details: As per customer requirement in bale. Our Manufactured FIBC are as per the international standards, we offer high quality fabric for bulk bags, PP woven bags, PP bulk bags, FIBC Jumbo Bag and FIBC bulk bags that is known for its durability and capability to withstand heavy weights. 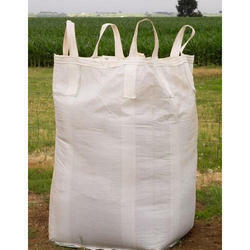 Our range of PP woven bags, PP bulk bags, FIBC Jumbo Bag and FIBC bulk bags is highly admired by our clients due to its high tensile strength, low elongation, weather resistance and better durability..These bags are ideal for storing and such as fertilizers, chemical minerals, cement, sand gravels, salts, food grains, sugar and many transporting materials others. We strictly test our range of fabric at various stages of production to ensure its compliance with set industrial benchmarks. Highly cost effective, these are available in range of 500 kg, 1000 kg, and 2000 kg And specifications to meet the diverse needs of the clients. Further, we can also provide our range in exact finish and specifications as required by the clients. Which are highly useful to customer to transport there goods in small or in bulk quantity as per their needs. We focus on customer satisfaction so our voluble customer can avail those bags in reliable price than market with standard service. 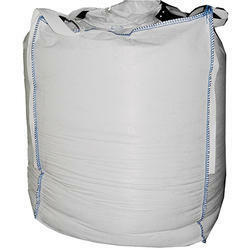 Jumbo bags are widely used to store heavy materials. 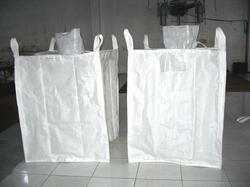 We are expert in making polypropylene fabric in form of cubic bags. The fabric is used in such a way that it has a single layer inside with an extra lose or laminated layer. 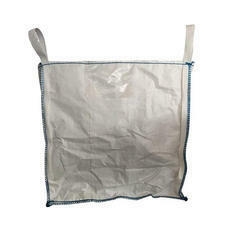 PE liner and barrier liner used with the bag is the main feature of such big bags. It is designed scientifically in a way that it helps in storing extremely high weight materials. These jumbo bags are also available as per the coated and uncoated variety. 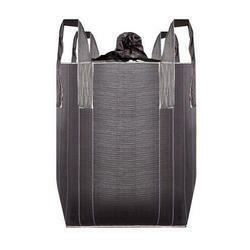 There is a thickness of woven polypropylene that increases the weight holding capacity of the bag. We are expert in making customized bags as per the needs and requirements of the client. We are specialized in making jumbo bags appear decent yet powerfully built by adding corona treatment or manual printing. Lamination can also be done as per specification. 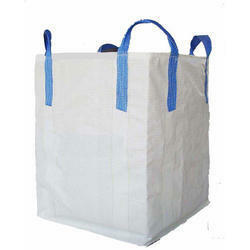 As a world class jumbo bags provider, we have got recognition across the globe for providing the best quality big bags. 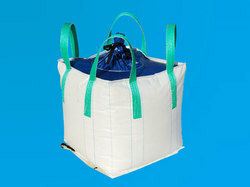 Specially designed Jumbo bags can be used for packing of chemicals, food grains, building materials, fertilizers etc. There is a special use of denier in which thickness is ranged by woven polypropylene threads. Our range of regular big bags is available in different varieties, shapes and appearance as per the requirement of client. 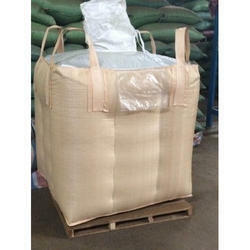 A flexible intermediate Corner Loop Jumbo Bag is an industrial container made of flexible fabric that is designed for storing and transporting dry, flowable products, such as sand, fertilizer, and granules of plastic.Corner Loop Jumbo Bag is generally used in general purpose of bulk packaging and is the most widely used FIBC. These bags have a comparatively better stability and stack-ability.These bags are either made in U+2 Design or also referred as U-Panel Jumbo Bags, U-Panel Bags or in 5 Panel constructions. The four loops are fixed in the corners by over-lock sewing, chain sewing, or with a combination of both. The long seam at the edge of the bag gives a very good load distribution and guarantee high tenacity.